The Dalai Lama has observed that our wars and battles are really conflicts within ourselves. Before we can hope to bring peace to the world, we must learn to transform ourselves and search for the deepest wisdom within each of us. Anna Voigt and Nevill Drury show how to do just that. Through spiritual musings--pithy essays on personal meaning and purpose; love, compassion, and forgiveness; life, death, and rebirth--the authors offer priceless advice and questions to gain greater self-and-universal knowledge. And following each essay is a stunning collection of reflections from the most influential peace-keepers of our time, carrying us one step closer to peace. 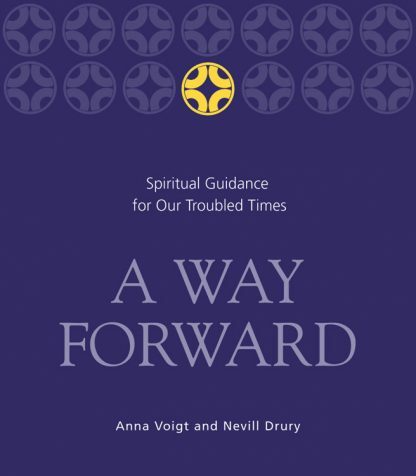 Providing comfort and spiritual guidance in these troubled times, Anna Voigt and Nevill Drury choose reflections from Jesus, Buddha, Mother Teresa, Mahatma Gandhi, and Martin Luther King, Jr., among many others, to guide us forward. This selection of comforting insight is a modest contribution towards making the world a better place for us to share despite the fear that surrounds. "There is some sort of message within that fear that can show us the path forward," Anna and Nevill write. "Somewhere in our personal darkness we have to look for a message of hope that will lead to new insights and new ways of seeking harmony and reconciliation."